In a world where access to information—good or bad—lies at the fingertips, it can be a struggle to decipher what insights will lead to success. The IDEA Success Academy will eliminate some of the guesswork thanks to top entrepreneurs and inspirers who will share their success secrets. Equal parts motivation and practical application, these unique sessions will shift your perspective and give you the tools to implement change and fast-track your journey to crushing your goals. 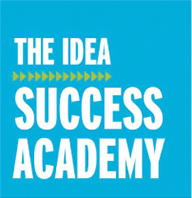 The IDEA Success Academy is included with your IDEA World registration! To lead, we must inspire those around us to become leaders, more than followers. Hear from business icon Chris Roussos, CEO of 24 Hour Fitness. He was named the 2016 Entrepreneur of the Year for his work in the healthcare industry and is now leading an organization of 435 clubs and 4 million members, hosting 180 million workouts a year. Learn to better lead yourself, manage stress, hone your communication skills and effectively guide an organization of any size. He will share his favorite leadership traits and high performance tips and habits. Get inside the mind of an entrepreneur and keep striving for greatness. Hear from international fitness expert Emma Barry on how to adapt your roadmap to meet the future needs of the industry. As new boutiques pop up on every corner and digital options rain down, facility owners and operators need to get strategic, relevant and ready for change. Emma will cite cutting-edge research to help you evaluate your current model and find ways to innovate. The talent of our teams and the quality of our programming are key to growing as an industry. She will challenge you as a leader to get more people off the couch and into life. Step out of the crowded typical fitness market and into a unique market with your brand! As a visionary, you can carve out lucrative and exciting new markets by designing five distinct offers (both online and offline) that allow you to monetize your years of experience and growth. In this session, you will map out a larger vision for your brand, learn how to grow your influence online, and discover how to create your very own brand map; one that fills you with passion and purpose! Attend this session to learn how gratitude, mindfulness and tuning in to your personal internal guidance system can lead you to success. In a time where we tend to look exclusively to data for guiding insights, it can be critical to remember that data is a relic of the past. If you are looking to bring something new into form, and to evolve personally and professionally, it’s important to acknowledge that you have access to guidance, information and inspiration beyond the data. Many of us are scared to take risks in our careers and allow this fear to limit our full potential. Let Kendra teach you how she went from being a broke and bruised studio owner to bouncing back into her best year of business. This workshop will facilitate the release of your fears, replacing your anxiety with confidence, choice and commitment. You will leave feeling empowered to make the changes necessary for you to run toward the career you are meant to have! Your brand is your identity, and in this age of social media, mass communication and fierce competition, having a unique and consistent recognizable presence plays a key role in your business success. The DIY Brand-Building Boot Camp is your step-by-step guide to building your business brand, without a big investment. This in-depth session will take you from startup to stand out with easy-to-follow lessons and practical takeaways throughout. The session includes: importance of branding for the success of your business, case studies of successful fitness brands, a DIY branding toolbox, how to use Canva for a consistent look and feel, and how to effectively use social media to grow your brand. Hack the Status Quo is about doing something…now. In business and life, with the pace of change pummeling us from every direction, if you’re not moving forward, you’re not just stagnant, you’re actually moving backward. Join Greg as he speaks to the “three Ms”—mindset, motivation and momentum—to help you step out of your comfort zone and find your competitive edge.